Behold the beauty of the crushed velvet sofa, carefully chosen to add opulence and glamor to any home. Whether you choose jewel-coloured velvet sofas in emerald greens or ruby reds, or opt for a more understated grey crushed velvet sofa to be on trend with a muted colour scheme, we’ve got a velvet sofa to suit all styles. Pick from our Rockall, Cameron or Portland sofa velvet fabric ranges for family friendly fabrics at their very best. A velvet sofa wrapped up in Rockall will add all the glamour of stately home without the upkeep. These are hardwearing, stain-resistant fabrics that will stand the test of time and love to be put through their paces – think of your gold crushed velvet chesterfield sofa as your own future family heirloom. Our choice of crushed velvet corner sofas offer another great option for serious sofa slouchers and functional family seating. 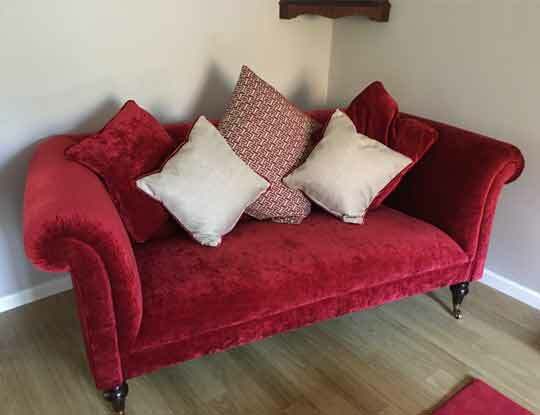 We would struggle to think of anything more inviting than a big, squashy velvet corner sofa, always ready and waiting to soothe away the stresses of a long day. If you’re space short, a velvet armchair can tick all the glamour boxes too without taking up too much room and will add an instant touch of luxury. Pop in to one of our 12 UK showrooms to flick thorough our fabric books. 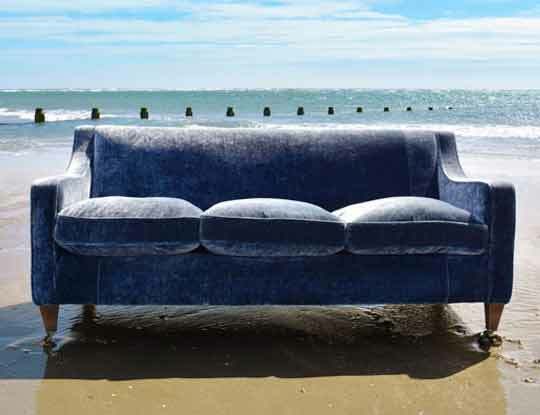 You’ll find a plethora of crushed velvet fabrics from the likes of Designers Guild, Linwood, Harlequin, Swaffer and many more, all with our Design Consultants on hand to help you design your dream sofa and provide the coffee too. Why not order some free crushed velvet fabric samples pack, so you can see the high quality fabrics we offer.